Within the first year of graduating, the cost of my college education put and abrupt halt on the dreams I had and the plans I was making. In fact, the financial weight of my student loans was dream crushing after I lost my first job. I felt forced into a way of life I never even imagined for myself – in almost every single way. The only aspiration I could hold onto was paying off my student loans as everything else slipped away from me. It took me 2 years and 3 months to eliminate my student debt. In reality, it’s a short period of time. In the moment, it felt like an eternity. The journey I have traveled to reach this point has come with a fair amount of sacrifice and a lot of lessons learned. I owe a lot to my wonderful parents and close friends. I honestly do not believe I would have done as well without their encouragement to keep going and their random acts of kindness as they cheered me on. And, yes, I must admit – Mint.com played a huge role in helping me get out of debt (I know you’re intrigued, which is why I have a whole chapter on it). To those of you just starting your debt free journey, you probably feel dazed and overwhelmed considering the “big picture” of what you are about to tackle. I know that feeling and it’s probably more debilitating than you might realize (ask me how I know). It’s daunting, and worse, it’s literally depressing. Focus on what you can control in every moment, the here and now. There is a lot of lost time I can’t account for because I couldn’t focus. However, I encourage you to just get started. It’s worth it! Start with today. This week. This month. Once you realize that you can’t be bothered with the crushing amount of debt and the amount of time to pay it off – you won’t be able to waste any time moving forward. If you’ve already started down the path to becoming debt free, but feel you’ve hit a roadblock – It’s time to refocus. The sacrifice can be so hard some days that it becomes easy to question your efforts – it’s normal – but remind yourself of what is to be gained by paying off your debts. Think of how wonderful that feeling will be when you send in that last payment on each of your loans. 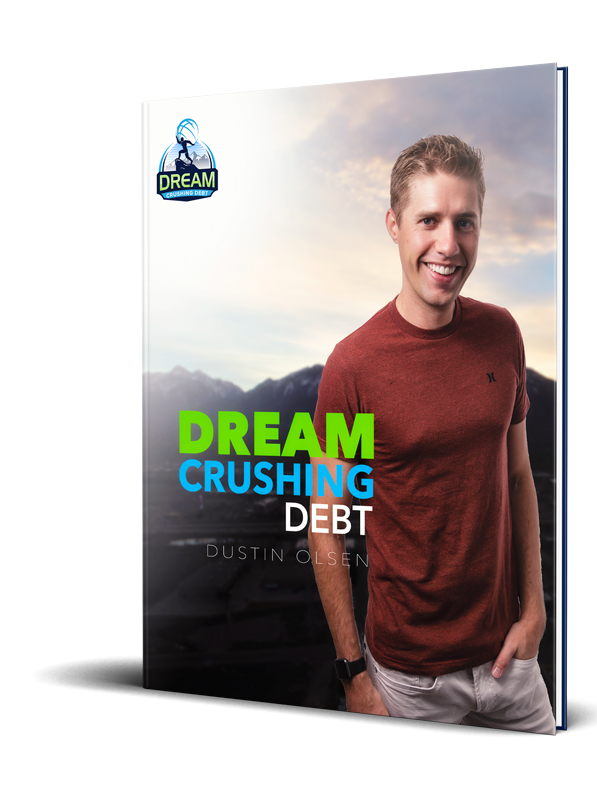 Think of all the dreams you’ve put on hold so that you could tackle your debt. Hold onto that thought for a just a moment. If that isn’t liberating enough to get you dreaming again, then go back to the original motivation that caused you to take that first step. To everyone who reads this book – I hope that you’re able to learn at least one thing that will make all the difference for you. Through my experiences of budgeting and getting out of debt, I hope that you’re able to more quickly put into practice the principles that took me months and months to fully understand, but ones that have continued to propel me forward all the way to that final loan payment and beyond. What you’re about to read in this book was real life and the lessons I learned through the sacrifice of eliminating debt. It is no secret that life never goes the way that way we plan and those who are truly successful at life are those who have mastered their reactions to everything thrown their way. This book is a compilation of my own opinions about life, money management and the process of becoming debt free. In a nutshell, this is my story of how I survived dream crushing student loan debt.